Exterior rendering of UNT's new welcome center. Interior rendering of UNT's new welcome center. Rendering of UNT's new welcome center lobby. We offer several ways to experience campus during your visit. These include walking tours, hybrid walking and tram tours, transfer tours, academic tours, etc. Most tours last about 90 minutes and include a decent amount of walking. Check the tour calendar to find out what is available on the day you’re hoping to visit. Regardless of the tour type you choose, wear comfortable shoes and check the weather before heading to campus. 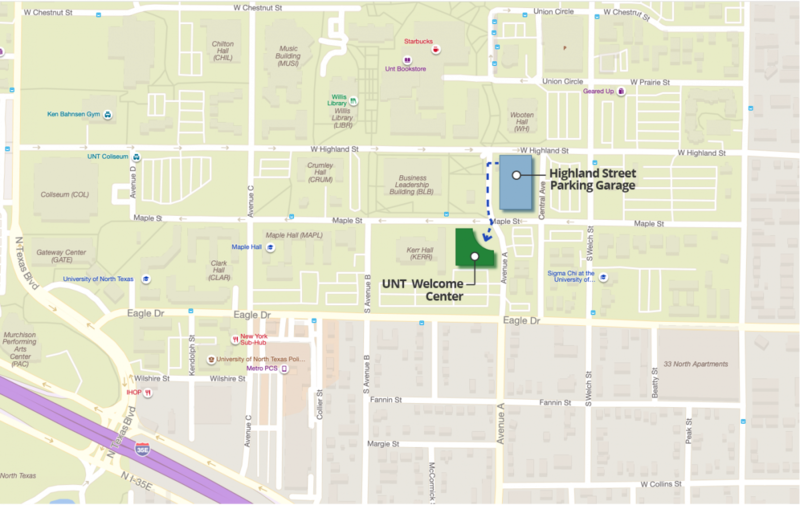 Our new UNT Welcome Center is located at 1417 Maple St., Denton, TX 76201 on the southwest corner of Maple Street and Avenue A and across from the southwest corner of the Highland Street garage. See location on a map. Take I-35 E North into Denton. 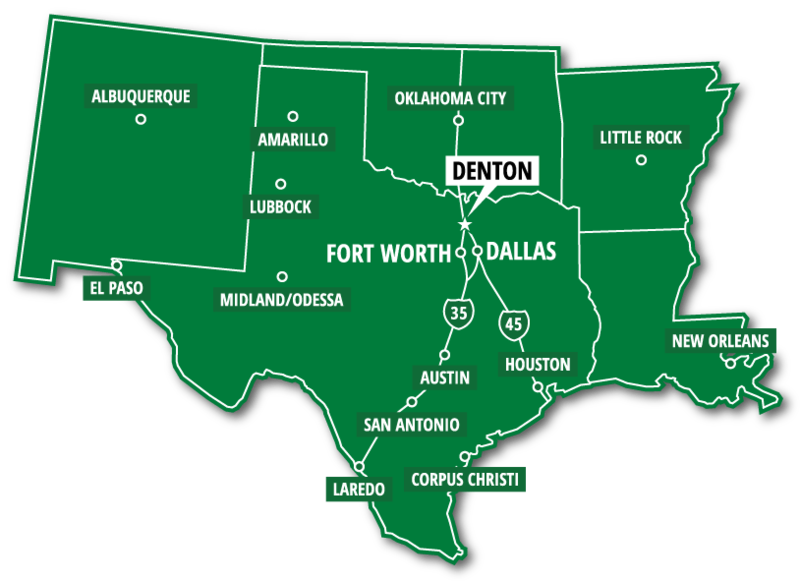 Once in Denton, you will exit 466B/North Texas Blvd. Take I-35 W into Denton. When in Denton, take the I-35 E exit and proceed south. You will take exit 466B/North Texas Blvd. Take I-35 South into Denton. Exit 468 and proceed to North Texas Blvd. If you need an address for your navigation system, please use 620 Central Avenue, Denton, TX 76203. This will lead you to the Highland Street parking garage. You will receive a parking validation at the end of your tour. 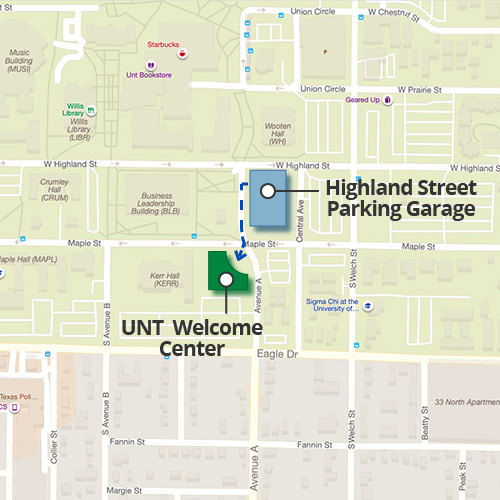 The UNT Welcome Center is located at 1417 Maple St., Denton, TX 76201 on the southwest corner of Maple Street and Avenue A and across from the southwest corner of the Highland Street garage. Discover Denton can show you all Denton has to offer. Find a hotel, plan activities and more. 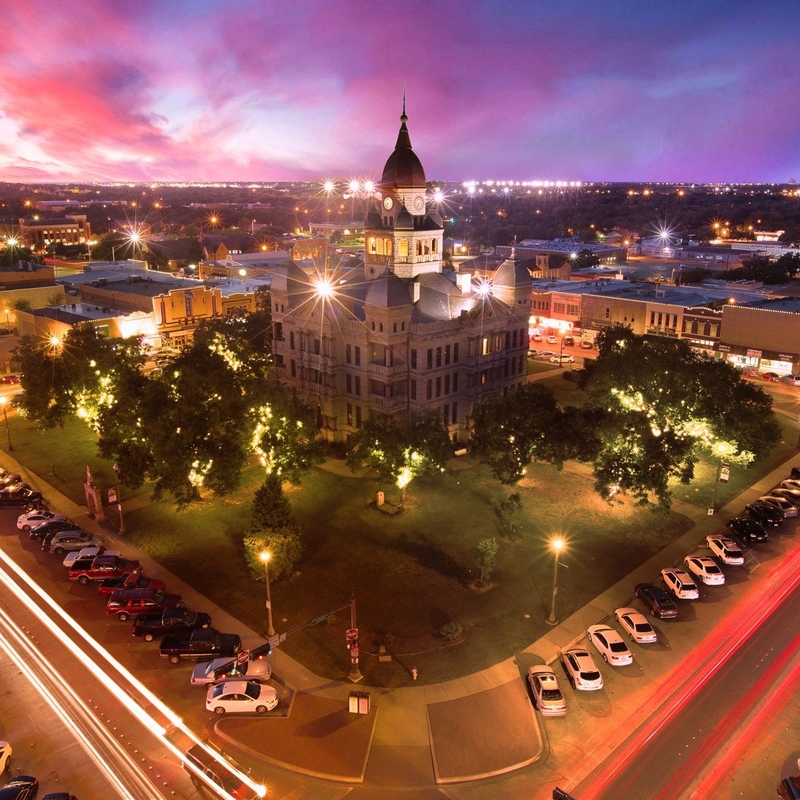 Denton, named “the best college town in Texas,” combines an active live music and art scene with a family-friendly hometown feel. The city’s thriving music scene has produced critically acclaimed musicians and bands such as Sarah Jaffe, Midlake and Eli Young Band and is home to a number of music festivals, including 35 Denton and the Denton Arts & Jazz Festival.